The newly ordained Bishop of Limerick took inspiration from U2 singer Bono when speaking about the need to connect with those living on the outskirts of society. 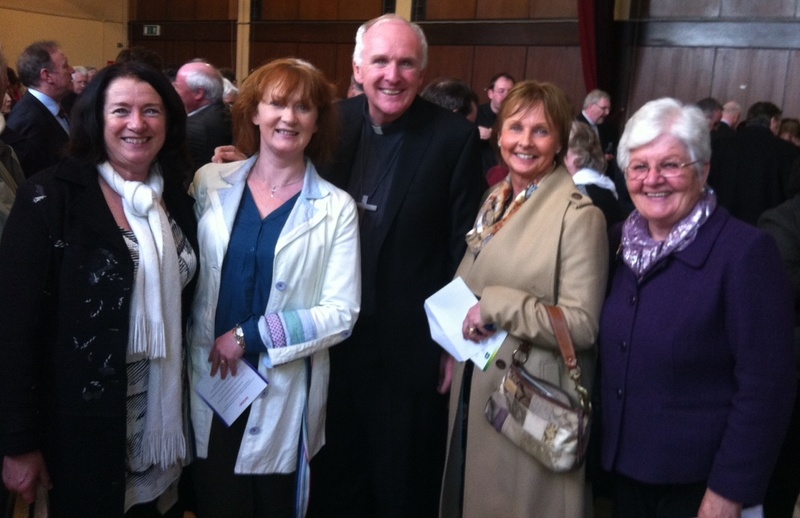 More than 1,500 people packed St John’s Cathedral in Limerick on Sunday for the ordination of Fr Brendan Leahy as the 47th Bishop of Limerick, and the first to be ordained since 1974. Addressing the audience at the end of the celebration, the newly ordained Bishop Leahy said he and all in the diocese are at the beginning of a new chapter in which there is a great need to reach out to the marginalised and broken in society. Taking inspiration from Pope Francis, the bishop said he was recently struck by the words of the new pontiff when he advised to “start from the outskirts” when reaching out to people. Limerick’s new bishop also quoted the lyrics from the U2 song I Still Haven’t Found What I’m Looking For, which he said could be applied to the situation many people find themselves in with regard to faith. “I don’t know what Bono had in mind but these words can be applied to the situation many find themselves in with regard to faith. Moments of difficulty are written into the Christian journey of faith. How many saints and exemplary men and women throughout the centuries have told us about shadowy moments they lived through,” he added. Bishop Leahy also spoke of the Catholic Church’s need to seek forgiveness for its own sins, particularly in relation to clerical abuse. “Darkness in our faith journey can affect us individually but also as a group, as a community, as a church. We know only too well of how many innocent people suffer terrible darkness because of clerical abuse. I want to make their pain my own and seek forgiveness 70 times seven. It is a deep wound also for all of us,” he said.